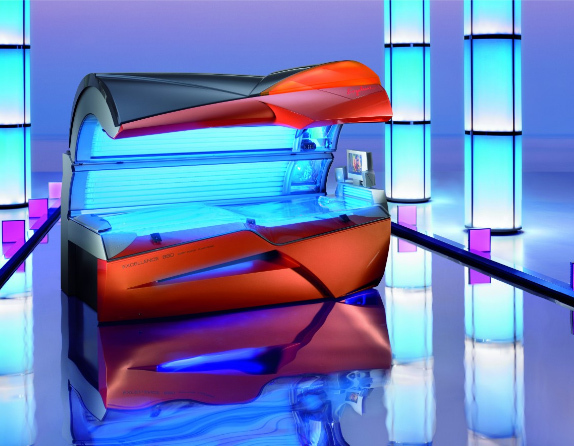 UV rays helps your body produce vitamin D.
What most people don’t know though is that indoor tanning can actually yield great benefits to those who partake in the fifteen minutes of exposure to the UV blasting chambers. While being exposed to UV rays for any great amount of time comes with risks, those risks aren’t as dangerous as they’ve been rumored to be. In fact, the long laundry list of benefits to indoor tanning could outweigh the negatives once you’re well informed about what good tanning can do for the body and skin. Exposure to either the sun’s or a tanning booth’s UV rays helps your body produce vitamin D. Vitamin D itself has been attributed to the prevention of plenty of diseases including colon cancer, depression, high blood pressure, breast cancer, fibromyalgia, prostate cancer, Seasonal Affective Disorder (SAD), PMS, arthritis, psoriasis, diabetes and osteoporosis. In an organic spay tan, wrinkles, dry skin, irritation, rashes and other skin problems are diminished. This type of spray tanning binds the moisture in the skin and repairs skin cells that have been damaged by the harsh sun rays. It eliminates the formation of dried out skin which normally occurs after traditional spray tanning. All this occurs because organic spray tanning comprises of 100% organic and natural ingredients. This means no synthetic colors, parabens, alcohol, oil, perfume, or odor exists in the solution. Organic spray tan solution is vegan and it does not expose you to the harmful UV rays. Safe and effective for men,women and children of all ages and skin types. Regeneration/Stimulation of Collagen – Activates fibroblast cells which create collagen and elastin hence restoring skin’s natural cellular collagen activity. Incredible sun damage reversal and increased skin tightness. Reduces age spots and diminishes freckles. Reduction of wrinkles and fine lines, especially eyes zone, neckline, around mouth and lips. Prolong the effects of anti-wrinkle injections and other dermal fillers. Eliminate red spider veins and broken capillaries. Reduce Rosecea, pigmentation, redness and blemishes. Increased healing of acne lesions and a reduction of acne scarring. Smooth your face, hips, thighs, buttocks and upper body. Rapid results of pore size reduction and skin tightening resulting in a younger looking, glowing and smoother skin. Enhances the absorption of cosmetics into the skin making them more effective. Stimulate Vitamin D production with no UV exposure. Full Body Detox in EVERY SESSION. STOPS HAIR THINNING/ hair becomes thicker due to stimulated blood circulation, oxygen and nutrient supply to the hair folicle. Lymphatic Drainage – removes accumulated toxins which is often the basis of many health problems. Increased Metabolism intensifies lymphatic drainage, reducing fat cell size while producing collagen — replenishing loss due to aging, while delivering improved skin tone and texture.